So, Vladimir Putin has been re-elected president of Russia amid worsening relations between his country and the rest of West. And President Muhammadu Buhari has a piece of advice to him. In a letter of congratulations on his re-election, Buhari asked Putin to use his re-election to promote international peace and stability. Putin’s sour relations with the West was worsened by Russia’s invasion of Crimea and the recent poisoning of a former Russian spy Sergei Skripal and his daughter in the UK, with a nerve agent. But that didn’t prevent Putin from winning re-election on Sunday, for another 6-year term. 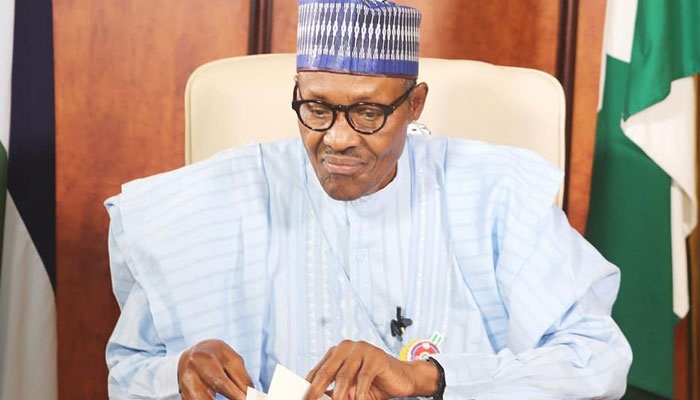 President Buhari in the letter extended “sincere congratulations” to him and said Putin’s “success for the fourth time in the election is a clear testimony of the confidence” Russians have in his leadership. He said he looked forward to continue working with the Russian leader to strengthen defence, trade and technical partnerships as well as promotion of private sector participation in all sectors of the economy”.